Is it true that Dr. Kaiser, Vet from the Weatherford/Parker County Animal Shelter resigned from her position? Why? Those with passion and dedication to volunteering in the past, at this shelter have been silenced for years to avoid as much conflict as possible with shelter staff management. At this point, what do these volunteers have to lose? Nothing. This is why they are writing and calling those in charge asking for change. There seems to be one common denominator in many issues that needs addressed. When you have one person given power and control and no accountability to the decisions made, this is what you get. It is obvious that those in power to make changes either do not care or do not think they are doing a bad job. Those in position (reporters) to educate the public are not telling the whole story. Over the years I have read lots of wonderful stories written about the shelter and primarily the good works of Parker Paws, however NO ONE has ever written the ugly side to this story. All the killing. The mass numbers of animals put down at this shelter monthly are astonishing, but nobody reports on that. Why? Because it doesn’t make readers feel good, I guess. Until the eyes of the public are opened and people begin to CARE about these lost and abandoned animals, volunteers and those passionate about making positive change will continue to hit their heads against brick walls because these numbers are so outrageous. We are so far from even being able to consider discussing “no kill” options with the intake and output numbers at this shelter. For instance, I have heard that while Parker Paws was there making a “pawsitive” difference only 1 in 10 dogs got out alive due to adoptions, fosters or rescues or owner reclaims. 1 out of 10. Without the work of volunteers and or Parker Paws, who knows how that number will change, it certainly won’t get better. So how can those numbers be changed? First off, by educating the public. Many think this shelter is NO KILL. Wrong. Many think Parker Paws gets the animals adopted, well they used to, but not anymore with them not actively able to continue their previous duties. And let people know if they surrender their animal it will most likely be put down. And for long term change, we need to educate the children. I have little hope for the adults who haven’t listened to Bob Barker preach “spay and neuter” for years. The only way we will change the future of this unwanted pet population is to teach kids a better way, because the adults in our society either don’t care or the ones who do care are frustrated trying to make a difference. But if educators will get into elementary and middle schools and teach kids what it is to be a responsible pet owner, then and only then will their be hope for all the unwanted animal population to end. In the U.S. we have become a throw away society. We treat animals like property that we feel we have the right to sell, give away, dump in the country or toss away like a worn out toy. As long as we have pet sales and impulse buyers without heavy spay and neuter laws and microchipping to punish irresponsible pet owners, we will continue to have a lucrative pet industry of breeders, whether they are back yard inexperienced, puppy mill breeders or top notch AKC pure breds. I have no solution for this. Spay and neuter laws haven’t been effective over the years. 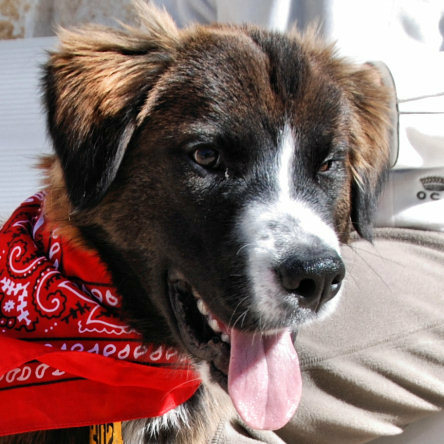 City registration and licensing of pets hasn’t been effective. I don’t know what will be effective. Ok…I suppose I’ve bored you all enough for now….but I am sure I have more to write and will as it comes to mind. We encourage Lee Ann and others with factual first hand information concerning this problem, to help inform a concerned public about the issues that demand attention at the Weatherford/Parker County Animal Shelter. Please indicate your willingness to be a part of the solution to this problem by commenting in the space provided below. Check back with this blog for additional comments and to obtain contact information of those who are coordinating efforts to restore the humane treatment of the helpless animals that pass through this “shelter”. The first definition of ‘shelter’ in Merriam-Webster’s dictionary is: “something that covers or affords protection”. Would the Weatherford/Parker County Animal Shelter be more appropriately named, if it was referred to as the Weatherford/Parker County Animal euthanasia facility. It certainly doesn’t seem to fit the definition of a “shelter”. Who can say this facility “affords protection” for animals that are so unfortunate as to end up there? Seventy years ago the SS knew that if Auschwitz-Birkenau, Nazi Germany’s largest concentration camp and extermination camp was going to be successful, they must first, through propaganda, condition the minds of workers to the extent that they considered Jews to be subhuman. Auschwitz had become emblematic of the ‘final solution’ – an efficient method of exterminating the subhuman segment of their envisioned ‘thousand year reign’. How Nazi – like it seems to have become right here in our own community – that those in control of the ‘animal shelter’ can so callously and with no sign of remorse, routinely put helpless animals to death when there are alternatives. 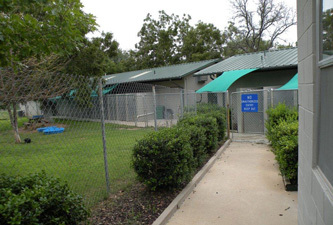 See Facts About The Weatherford/Parker County Animal Shelter. I agree, now that it’s been exposed let’s work together to right the situation and save these helpless animals! I know personally that many Parker County residents care about animals and will rally to help. Killing is not the answer, and no matter how you sugar coat it “euthanasia” is killing plain and simple. with great ideas for the animal shelter. rather kill animals than welcome the communties help. Time for a new director. I agree–we need some admistration changes out at the shelter–my concern is for the animals, which is what the shelter is for–yes?? It is a beautiful facility, we just need the community to step up and get the changes done! Did the community donate the money to build that nice shelter ? Definetly time for a new director, one who will work with the volunteers, The ones who work so hard to save lives and do for the love of the animals. I’m not willing to sit by idly any longer while healthy animals are being killed when there are so many alternatives. Nothing will change until those of us in the community who care about the well-being of animals demand it. Don’t forget, folks, we pay the salaries of all these people. It seems the Vet on staff has now also resigned. I guess she too was frustrated and felt she wasn’t making positive progress. Getting a new director will be one thing that will immediately make a real difference at the animal shelter. Good luck with that though. Remember the whole herd of horses in a small pasture off Hwy 730 that were allowed to starve,no water or shelter provided earlier this year? Well, info was that this same director drove past that pasture twice daily and said nothing about the situation that was plain to everyone who passed that pasture. Complaints were ignored by our county authorities also, until it got coverage in the Star Telegram and the TV news. A close look into the finances and management records might be a good thing as well. It is always about money whenever these situations occur. Rumors on the street have been around some time including talk of a massive animal kill during the holidays. Just maybe enough adverse publicity has occured to cause the city and county to take action to correct this disgrace. All the positive comments were very refreshing and good ideas of ways to make positive changes. I think more “exposure” from any DFW media may be a great idea. If it makes some locals “squirm”, too bad. These people need to do their job responsibly and openly, or take an exit. More transparency would be great and nothing like a major news media expose` to get a spotlight shined in the proper places. I agree with the esteemed Senator that there needs to be more transparency with the city and the rumored problems at the animal shelter. The public has a right to know how its money is being spent and sunlight, as they say, is the best sanitizer. I’ve spoken with both the city manager, Mr. Blaisdell, and the shelter director, Mr. Bates, and I believe them when they say they want to fix the problems at the shelter. Unfortunately, we’ve all heard this before and it remains to be seen if anything changes. On the upside, both of them say they are open to making the shelter no-kill. I’ve provided Mr. Bates with resources on how to go no-kill and have invited him and shelter employees to join me at upcoming no-kill workshops in Dallas and/or Austin to learn how it’s done from experts in the no-kill movement. It won’t happen without the support of those of us in the community who love animals, though — the city bureaucracy is going to need our, ahem, encouragement. It’s not what they say, it’s what they do that matters! No significant and lasting improvement will be made until management at the ‘shelter’ is replaced. You can help Mr. Blaisdell and Mr. Bates do the right thing by keeping the pressure on – things like ‘open records’, letters to this blog, letters to the editors at Parker County papers and to the Fort Worth Star-Telegram. Bottom line – You cannot make a difference by remaining silent! I couldn’t agree with you more, Lenny. I think of all the animals who have suffered and died because of people like me who have done nothing. Our pets bring out our better angels, and they deserve a true sanctuary at the shelter. I will do anything I can to help them, and would appreciate all suggestions and advice. 3. any remaining citizens wishing to continue to volunteer at shelter were told they are not allowed on the grounds to take photos or socialize the animals. This occurred the same time as Ms. Daniel returned to her post at the shelter from a mysterious leave from the shelter. 4. Mr. Bates asked to be reassigned. About the same time Ms. Hayes took over. 5. One low cost spay neuter clinic was held in March. Previously Parker Paws held multiple low cost spay and neuter clinics, but this put on by TCAP was advertized as “improved”. What was improved about going from 2 or 3 a month down to only one per month? 6. Mr. Mayor states on March 27 that the city mgr is responsible. 7. Citizens were told by city mgr that his assistant, Ms. Hayes is investigating the mess. How can she investigate her own boss? 8. citizens have attended city council meetings for months now asking for answers, to date no answers have been offered, only “we’re working on it, we hope to, we don’t know” those tap dance answers are all that has been offered. Is that good enough? How long does it take? How many more animals will have to pay for this, with their lives? When will this city start cleaning house? You can’t have positive change unless there is leadership willing to step up and say enough is enough, roll their sleeves up and get to work. When will that happen? Will it ever happen?